Time for another round of #marriedfacemonday and y’all, this one is extra special! We waited exactly one year to post these photos in order to celebrate this lovely couples’ one year anniversary today! We’re so excited to finally(!!) 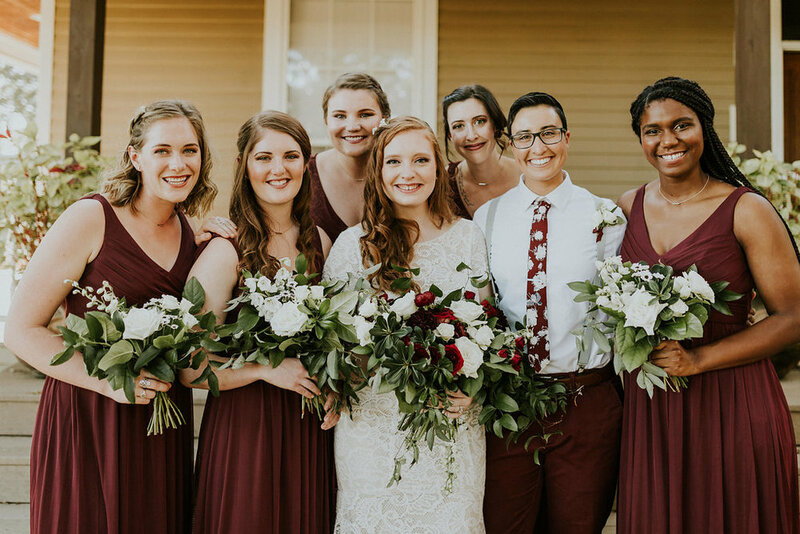 be sharing a few images from Smith + Aaron’s wedding last October featuring one of our favorite fall shades, burgundy! Hello Fall, you can stay! 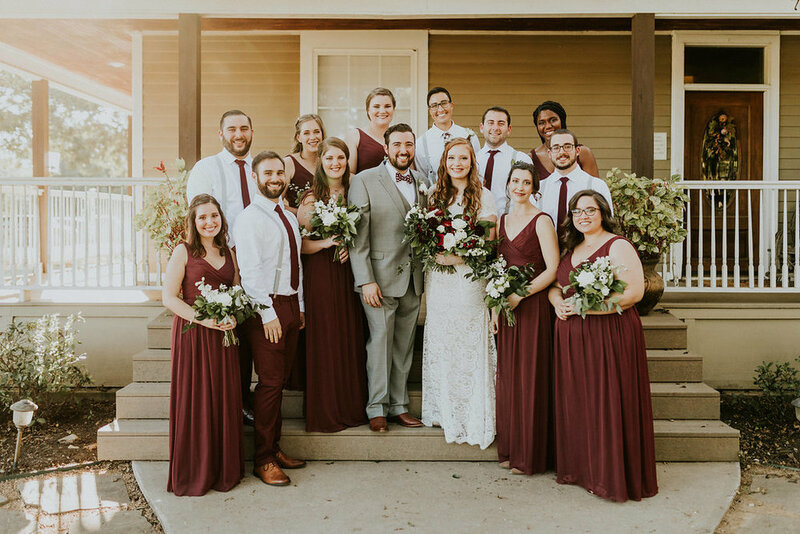 Set under the big Texas sky, Smith + Aaron were married by a dear friend, under a handmade chuppah, surrounded by their closest friends and family. There’s something about Jewish ceremonies that give them an extra level of special. Perhaps it’s the Hebrew passages or the circling ceremony. It could also be the Sheva B'rachot, Seven Blessings, or the glass-breaking celebration at the end! 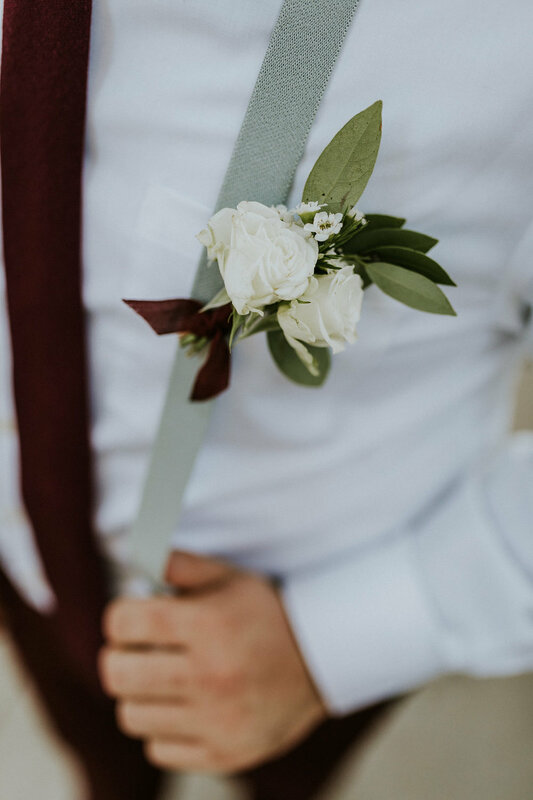 Every moment and detail of Smith + Aaron’s ceremony were breathtaking and personal. Something I’m certain every bride + groom cherish on their wedding day. Aaron and I were living in San Diego and we had planned a trip back home to Dallas right after the new year to see our families! 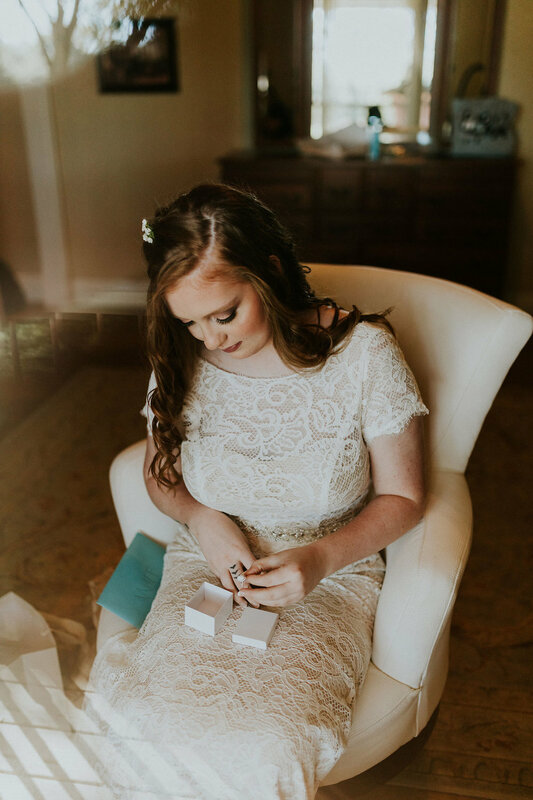 He was originally only planning on picking up the ring while we were in town but after some persistence from our jeweler and friends he was convinced to do it THE NEXT DAY! So safe to say he was acting weird the whole day and totally freaked me out! The next day he sent me to lunch with my best friend in downtown Plano where we ate, I complained about how weird he was being and then she asked to walk to the park so I could take a good photo of her on her phone school. Being completely oblivious I agreed and as we turned the corner Aaron was standing in the middle of a gazebo that he had lined with mason jars full of daises and pictures of our many years of dating! Our song at the time was playing in the background, he got down on one knee and I said yes! Enter FULL TEARS as all of our family and friends popped out including our best friend from San Diego who booked a flight the day before and got there just in time! As a wedding vendor myself and working in a retail front for 6 years where I worked with brides on a daily basis I knew a lot! So I would say I knew a lot and prepared a lot to make it easy on my vendors! One thing I will say is to really know your budget and be smart about choosing places to save money! We were able to leave our wedding day with no debt, which is something I can’t say for quite a few of my brides and friends! 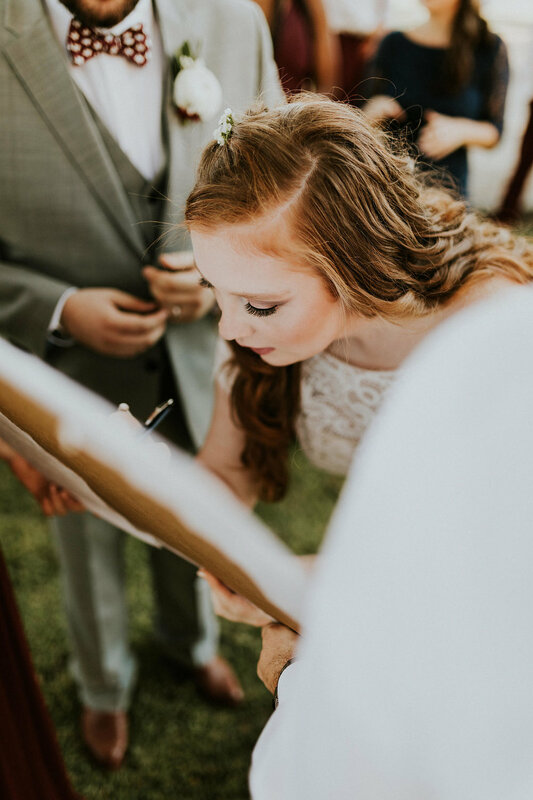 Smith happens to be a talented wedding professional specializing in calligraphy and wedding photography here in Dallas as well. We’ll be featuring her work on the blog soon so stayed tuned!